Make your mark in La Femme 25363! 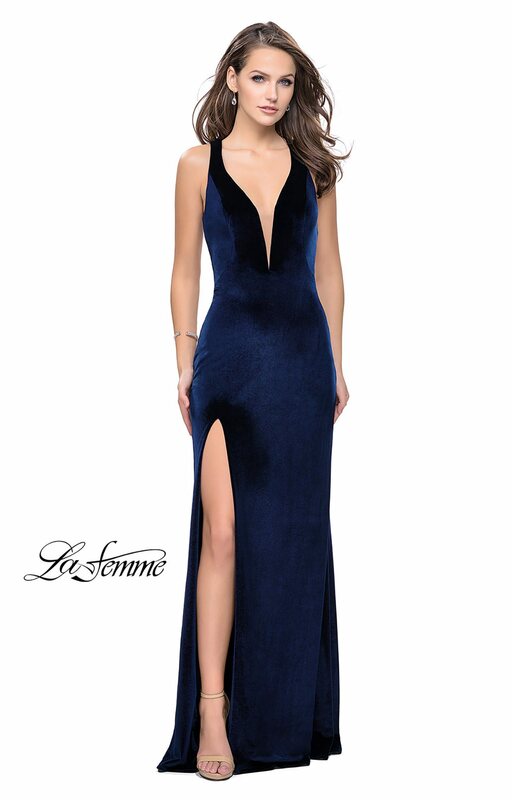 This stunning velvet gown has a deep sweetheart neckline, strappy open back, and a thigh high slit. The lack of embellishments allows you to accessorize as you please!